Ecocharger is delighted to announce that the Ecocharger electric quad bike is available in Australia and New Zealand. Two variants of the Ecocharger are being built and sold in Australia and New Zealand; the 4WD Eliminator and the 2WD Dominator. Both come equipped with a class leading 72V, 15kW engine that provides ample power and torque across the speed range. The versatility and mobility of the Ecocharger is backed by European design quality and the quads are being built locally in Australia, so buyers can be assured of quick and effective support. 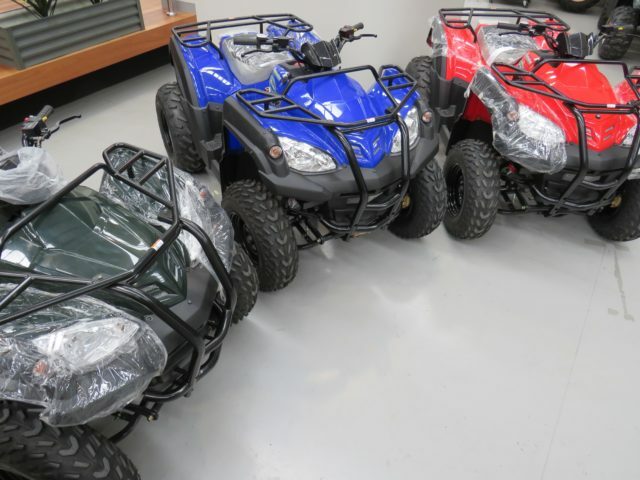 The Ecocharger quad bikes are zero emission and have a low noise signature, so are well suited to areas that are sensitive to emissions or for buyer’s who want to enhance their green credentials. Halloran says the Ecocharger makes economic sense as well: “We have had a number of bikes operating in Australia and New Zealand for the last six months and this has given us great confidence.